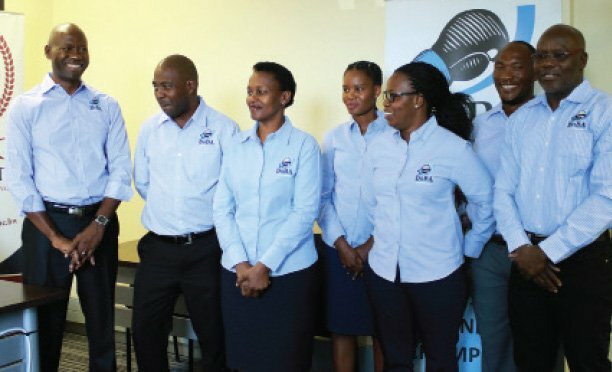 Information reaching Sun Sports this week is that Botswana Integrated Sports Association (BISA) President Joshua Gaotlhobogwe is back in the BISA elections race. This comes after he was left in limbo last week when the BISA Electoral Board vetted him out. The BISA electoral Annual General Meeting (AGM) is scheduled for November 10th 2017 in Palapye. However the lead up to the BISA AGM has been embroiled in controversy. The sports development association has also seen its leadership become even more divided than ever. Last week, the BISA Electoral board is reported to have released a list of the 2017 BISA elections nominees. However in a shocking turn out of events incumbent president Gaotlhobogwe was vetted out. Sun Sports is in possession of the leaked documents dated 26th October, showing that incumbent president together with the aspiring Secretary General Christopher Chikwakwa were tossed aside because they have served two terms consecutively in the executive. “This contravenes section 12.2.3 of the BISA constitution if another term is sought,” reads a statement from the BISA Electoral Committee. After learning the board’s decision, Gaotlhobogwe is alleged to have lodged an appeal and even went as far as seeking legal advice on the matter. Nevertheless, the board still maintained its stand and turned him down. However early this week, another letter was received by BISA Secretary General Gomolemo Rankosha stating that after careful consideration, the board decided to go back on its decision and allow Gaotlhobogwe to run. Reached for comment this week, Gaotlhobogwe expressed shock over the board’s decision. Gaotlhobogwe confirmed that indeed he received news that he was not eligible to seek another term. “Something is not right here, I am told I have been reinstated but under what grounds I cannot explain,” Gaotlhobogwe said in an interview. His biggest concern is that his plea was thrown out of the window when he tried to appeal the decision. According to him he had supporting evidence of two legal experts, yet the board had remained unshaken at the time. “All of a sudden I have been vetted in again, I had approached the Ministry of Education informing them about the matter because I was prepared to drag this to the court of law. It appears there is a conspiracy, something does not add up, there is more to this matter,” he argued. He accused the Board of failing to use the services of their legal advisors who are said to be at their disposal and rushed to misinterpreting the constitution. Nevertheless, Gaotlhobogwe said he couldn’t confirm if his actions led to the board reversing its decision or not. However he is unhappy with how things unfolded, arguing that this is likely to mess up his campaign.On the other hand, aspiring BISA Secretary General Chikwakwa remained calm and said that he believed the board made a genuine mistake and after seeking legal advice they decided to reverse their decision.